First-round draft picks are guaranteed successes right? It’s never really the case. 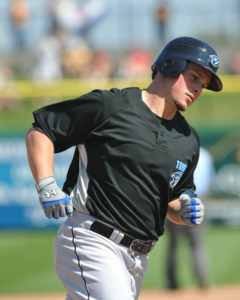 For Travis Snider, the 14th overall pick of the Toronto Blue Jays in the 2006 MLB June Amateur Draft, his journey from one of USA Today’s Top High School Players to signing his most recent deal with the Independent Long Island Ducks, is a tale of success. But with so many what if’s. After splitting 11 years at the MLB and MiLB level, Snider is embarking on a journey no one expected. There’s players that are assured stardom and others who don’t and experts can’t pinpoint a reason why. Why is it that player X can be a superstar throughout all minor league levels, but it never translates over to the MLB level? The curse of the 4-A player is well documented and you can say about Snider. For all he’s done at the pro level will never get the full credit he deserves. 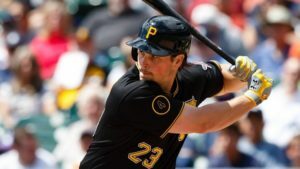 Snider first came on the scene in 2008 and hit .301 in 24 games. All signs pointed to him competing for a starting spot in the coming years, but contending with an outfield consisting of Vernon Wells, Alex Rios, Adam Lind, Jose Bautista, Anthony Gose, Colby Rasmus, and Eric Thames has got to be a difficult thing to deal with. In your early 20’s, and touted as the next big thing or Golden Boy, has to weigh on you mentally? If someone tells you it doesn’t they’re lying. Before being traded to the Pittsburgh Pirates in the middle of the 2012 season, Snider gave a pretty candid interview to the Toronto Star. Asked questions about seeing other players called up ahead of him, has the organization lost faith in him, or whether he’s ever questioned his own ability, Snider’s outlook remained optimistic and understanding what he can control. Of all the ups and downs, or whatever ceiling people think he didn’t hit, Snider’s kept going through the thick and the thin for over a decade and that has to be worth something. When you look at his career stat line; 630 games, .244 avg, 54 home runs, 212 RBI, .709 OPS, some will shrug their shoulders. But look at it this way, Snider has only one full season under his belt and has constantly been platooned or dealt with injuries along the way. Was he sent down because he couldn’t adapt to Major League pitching? Perhaps, but that doesn’t take away from the fact he can flat out hit. In his minor league career, he’s a .300 hitter, with a .377 OBP and .490 slugging. Even last year, splitting time between two teams (Round Rock and Las Vegas), the former first-rounder hit .296 with 10 homers and 52 RBI in 117 games. Snider will bring a veteran presence to an already talent laden Ducks lineup. A player of his calibre (2006 Player of the Year, Pulaski (APP), Baseball America All-Star 06/07/08) will not only better the players around him, but bring him back to the basics with the hope of catching the eye of scouts during the summer months.